There is something alluring about a well-dressed man. When a man knows how to dress, he looks more confident and attractive; this is no secret. Although many people think that it’s all in the suit, this is not entirely true. The right footwear can change the entire look of an outfit and helps bring the ensemble together. The kind of footwear you wear to an event can have a huge impact on the look you are trying to pull off. Wearing casual shoes with a suit brings down its formal feel; however, adding a good pair of dress shoes to a simple outfit brings it from casual to smart casual. This is the main reason why all men should have at least one pair of Oxford’s in their closet. The right pair of dress shoes can simplify your wardrobe because it can be worn to just about any kind of occasion. The versatility of dress shoes is what makes them worth the investment, but sometimes, if you’re lucky you can find a pair that is both affordable and reliable. 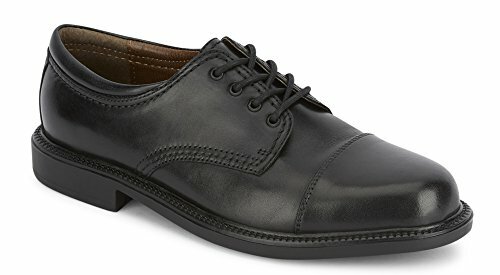 In this review, we will discuss the Dockers Men’s Gordon Cap-Toe Oxford as an affordable dress shoe option for you to consider. Dress shoes for men are notoriously expensive. Shoes for men that are designed for formal and office wear normally come with a hefty price tag which makes many working men hesitate before purchasing. Luckily, the Dockers Men’s Gordon Cap-Toe Oxford is actually very affordable and you can have two pairs at home without breaking the bank. Despite its affordability, these shoes are actually made of high-quality leather which allows them to stretch gracefully and comfortably. No wrinkling or strange wear marks are found on these dress shoes, even after constant use. With a little effort, the Dockers Men’s Gordon Cap-Toe Oxford can shine spectacularly, making them the perfect pair for a formal occasion. Those who aren’t interested in wasting time polishing them will also appreciate that they look nice even when unpolished due to its semi-gloss finish. These dress shoes also come with a single-piece sole which means you can walk hundreds of miles without any holes developing or the fear that the heel will suddenly come off mid-step. You will always feel comfortable and confident when you are wearing a pair of these Oxfords, both in the office or out doing field work. You can take confident strides even on wet and slippery surfaces because the semi-hard and rubberized soles of the Dockers Men’s Gordon Cap-Toe Oxford provide excellent traction with an impeccable tread design. Plus, it only requires a very short break-in period before the leather molds to the shape of your feet, making them one of the most comfortable shoes you will ever wear. Another advantage of these dress shoes is the fact that they can last you more than a year even with constant use. Add the fact that they are very affordable, you can never go wrong with keeping at least one pair in your closet. No matter what formal or semi-formal occasion you’re going to, these Oxfords will be your best choice. In fact, it can even tie your entire outfit together to make you look professional and confident. Although many men who have tried the Dockers Men’s Gordon Cap-Toe Oxford have nothing but praise for the dress shoes, there are still some issues that need to be addressed. For one, the laces that come with the shoes easily get frayed. It is not a good look to have frayed laces at a formal event. You can easily remedy that by getting new aglets for the laces or entirely changing them out once they start to fray. Another disadvantage of the Dockers Men’s Gordon Cap-Toe Oxford is the sizing. Some who have worn the shoes have noticed that they tend to pinch and hurt parts of their feet even after the break-in period. In this situation, you may have ordered a size too small for your feet and should instead consider getting a pair that is larger than your usual size. If you’re worried about the shoes being too large, the laces can tighten them securely and make them snug and comfortable. 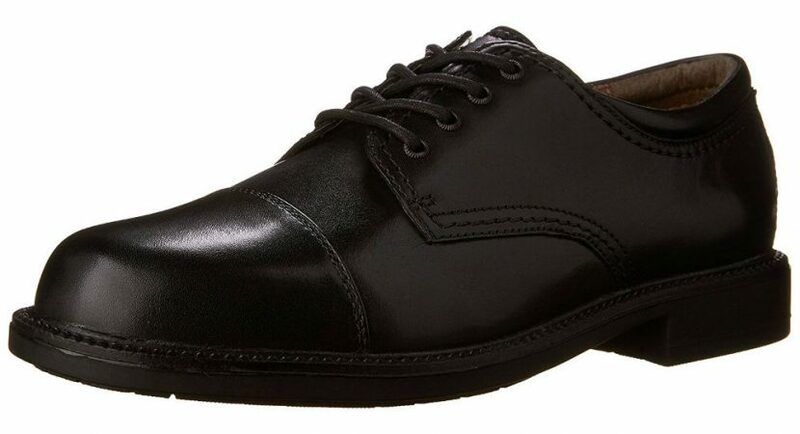 You cannot find a more reliable and affordable pair of dress shoes like the Dockers Men’s Gordon Cap-Toe Oxford. If you don’t want to spend too much, but still get high-quality dress shoes for work and for everyday wear, these are the dress shoes for you.